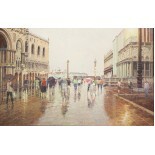 Home - Painting - St. Mark's Square. Venice. 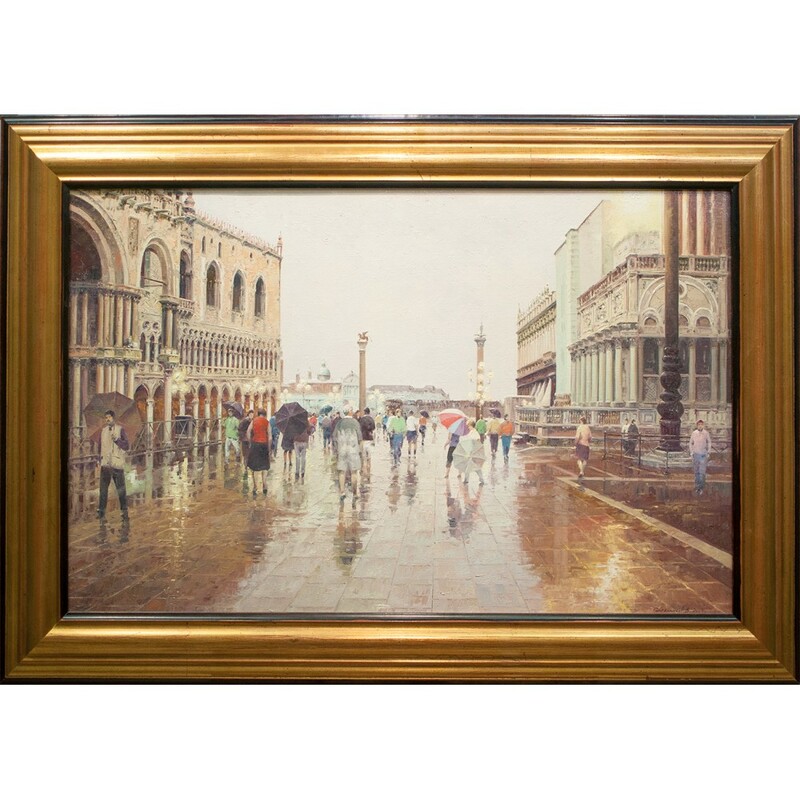 Original oil painting by a famous Russian artist Vasily Gribennikov (b. 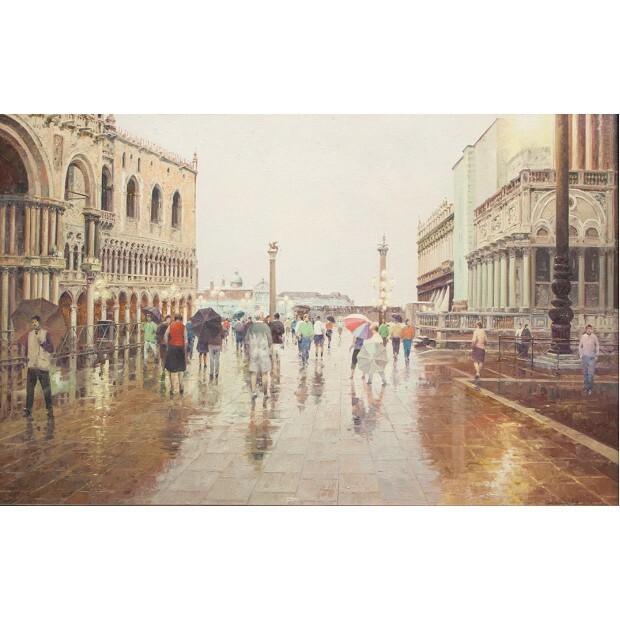 1951), the artist depicts the St. Mark's Square. Venice is beautiful at any time of the day, but it becomes ethereal at dusk. At the edge of St. Mark's Square, one can see a sliver of the elegant Doge's Palace and the column with a winged lion, the Lion of Venice, which is the symbol of St. Mark. The small island with San Giorgio Maggiore and its bell tower fills the mauve sky. The beautiful street lights are lit and cast long reflections on the pavement. The rest is hushed silence. 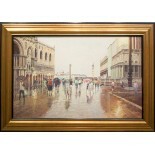 The painting size is 50" x 80". Signed on front; varnished. Frame: Yes, but only for display, as a temporary frame.